It's a well-known fact that many of the world's most beautiful places are disappearing, largely because of climate change, deforestation, rising sea levels, the demands of industry and even tourism. But many of us are unaware just how quickly many of these places are vanishing from the map. You may have fallen in love with Venice or climbed the famous Machu Picchu, without realising that, in just a few years time, these incredible destinations may no longer be there. We're not going to tell you to go and see these places - because there's no doubt that tourism itself is having devastating effects on many world heritage sites, including the Great Barrier Reef, for example. But climate change and economic demands are also playing a devastating part in changing our world. In Bolivia, where you will find the weird but wonderful Salar de Uyuni salt flat, also lies half of the planet's lithium reserves which are being extracted by the Bolivian government. Demand for the wonder metal that fires our smartphones is increasing and could sadly see this stunning attraction disappear. Meanwhile, Tibet's language and culture is under threat as new laws are replacing Tibetan lessons with Chinese Mandarin and the Dalai Lama is urging the Tibetan people to preserve their culture by keeping the language and traditions alive. The glaciers in the Swiss Alps have been shrinking at an accelerated rate and scientists predict that if the current weather patterns persist, the glacial Alps will disappear by 2050. The largest alpine glacier, the Aletsch, receded more than 2km over the course of the 20th century and experts say if global warming continues for a decade, in 70 to 100 years only alpine glaciers over 4,000 metres will resist this. The largest coral reef system in the world, the Great Barrier Reef comprises around 2,900 individual coral reefs, 600 continental islands and 300 coral cays. It was awarded World Heritage status in 1981 and is one of the world's great's natural wonders. Various initiatives protect the site including 'no take' zones (so no fishing or shell collecting) and moorings are managed to ensure boats don't damage the reef. But the reef shrinking and scientists predict 95 per cent of the coral could be lost by 2050. Pollution, irresponsible tourism and global warming are the main threats. One of Italy's most beautiful cities, Venice has been slowly sinking for hundreds of years thanks to its location on the shifting sediments of a lagoon. The tides often flow through the city's stately squares and experts estimate that the city could sink completely in 20 years. In 1900 St Mark's Square flooded seven times and in 1996 this occurred 99 times. The government is constructing a floodgate system to block water coming from the Adriatic Sea. It may not be an ancient site or natural wonder at stake but the Tibetan language and culture faces a real and present danger, the Dalai Lama has warned. Since being ruled by the Chinese from the 1950s, Tibetan history is slowly being erased with new laws put in place replacing Tibetan language lessons with Chinese Mandarin. The Dalai Lama has challenged refugees living abroad to preserve their culture by keeping the language and traditions alive. The Chinese government's policy to end the nomadic way of life saw thousands of Tibetan nomads relocated from their grasslands to urban dwellings and this is having a disastrous impact on the Tibetan herders' ability to maintain their traditional livelihoods. America's largest subtropical wilderness, the Everglades National Park is made up of vast, distinct ecosystems home to rare and endangered species including sea turtles, American crocodiles and the Florida panther. The park's diverse habitats are constantly changing and the actions of humans have a strong influence, such as disruptive water management actions and the introduction of non-native species. The Ten Thousand Islands part of the park is the only area on earth where alligators and crocodiles cohabitate but habitat destruction and injury from cars are decreasing numbers. Other threats to the Everglades include fires naturally occurring after lightning storms, rising sea levels caused by global warming, and drought. It was placed on the List of World Heritage in Danger from 1993 to 2007 and was back on the list in 2010. The ice fields on Africa's highest peak, Mount Kilimanjaro is disappearing and scientists say the snow will be wiped out completely by 2020 as a result of global warming. Since 2000, the peak has lost 26 per cent of its icecap and both climate change and deforestation are said to be contributing factors. The lowest point on Earth, the Dead Sea, reaches 50C in the summer and with water levels dropping due to the diversion upstream to meet domestic, agricultural and industrial demands, the salt waters could disappear completely within the next century. 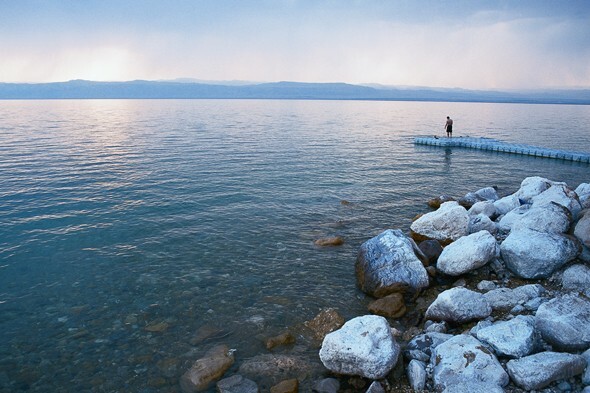 The Dead Sea has already lost over a third of its surface area and annual inflows are predicted to decrease. In 2014, the Tropical Rainforest Heritage of Sumatra, which consists of three Indonesian national parks on the island of Sumatra was put on the List of World Heritage in Danger. This was to overcome threats posed by poaching, illegal logging, agricultural encroachment and plans to build roads through the rainforest, which is home to 10,000 plant species, more than 200 mammal species including the Sumatran elephant and 580 bird species. Once home to 150 glaciers, Montana's Glacier National Park now has fewer than 25. Rapid climate change could see this number fall to zero by 2030, while some geologists say they could be gone around ten years ahead of schedule by 2020, endangering the region's plants and animals. The warming climate is causing streams fed by snowmelt to reach peak spring flows weeks earlier than in the past and low summer flows weeks before they are used. Kenya's Tsavo East National Park is a true wilderness and one of the country's oldest parks. Many of its major predators and herbivores have become endangered in the past few decades because of the continuous destruction of their natural habitat and merciless poaching for ivory, skins, horns and bush meat. The park is well-known for its red-dusty elephants but every year a number of these are killed. This ancient site is under threat from mass tourism as a new cable car is to be installed to carry tourists from Aguas Calientes up to the mountaintop ruins. UNESCO says this will spoil the natural vistas and increase the tourist traffic to a huge 400,000 visitors per year. Meanwhile, the International Counsel of Scientific Associations says the upper station for the cable car sitting at the top of the second most active landslide region and the constant vibrations could trigger a disaster. Bolivia's weird but wonderful Salar de Uyuni is the largest and most spectacular salt flat in the world, but it also sits on half of the planet's lithium reserves which are being extracted by the Bolivian government. Demand for the 'wonder metal' that fires your smartphone and electric car is increasing and could sadly be the cause of this natural wonder vanishing. This wildlife haven is home to 50 species of lemur, two- thirds of the world's chameleons and the unusual giraffe weevil, but the Madagascan rainforest is not as idyllic as it looks in the documentaries as nearly 90 per cent of the original forests have already disappeared. Logging, burning for subsistence farms and poaching are destroying the forest ecosystems and the famous lemurs are now renowned for being in danger of disappearing. Some of Madagascar's endemic species have never even been recorded and are likely to be lost before they are even studied. The crowds and air pollution are eating away at this architectural marvel's white stone facade, causing officials to consider closing the 17th-century landmark to the public. UNESCO and other tourism organisations have urged India to save the Taj Mahal by restoring it, which would mean up-close encounters could be numbered. The Amazon Rainforest spans the border of eight countries (Brazil, Bolivia, Peru, Ecuador, Colombia, Venezuela, Guyana, Suriname and French Guiana) and is home to 1.4 billion acres of forests and 4,100 miles of rivers. It is being destroyed by expansions in agriculture, construction of roads and illegal logging. Climate change is also driving deforestation and at the current rates, 55 per cent of the rainforests could be gone by 2030. As well as jaguars, pink dolphins, many birds and fish, more than 30 million people from indigenous groups live in the Amazon and depend on nature. Many of these people are being moved on by deforestation and as the indigenous people move, we lose valuable knowledge about the Amazon's plants and medicines.